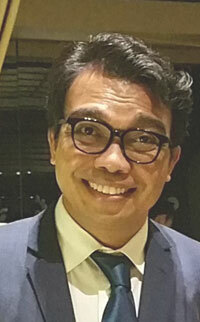 Emanuel leads the Indonesia country program and Asia-Pacific Regional Knowledge Hub. Previously, he oversaw the development of the hub in partnership with Universitas Gadjah Madah. He also oversaw NRGI’s support to civil society engagement with the ASEAN institution and its governments. Before NRGI, Emanuel served as CAFOD’s regional program manager on governance for Southeast Asia based in Phnom Penh, Cambodia. In this position, he co-led the development of CAFOD’s Southeast Asia strategy and governance work in Myanmar, Indonesia and Timor-Leste. Emanuel has also worked with civil society organizations in Timor-Leste, monitoring and producing analysis of oil and gas policies, as well as the state budget. A former fellow with the Friedrich-Ebert-Stiftung (FES), Emanuel was involved in the global youth leaders program, which focused on global governance and climate policy. Earlier, he undertook socioeconomic impact assessments of communities affected by Asian Development Bank-funded energy projects in Indonesia. He is trained in political philosophy and international relations. His thought pieces on energy and extractives have appeared on major Indonesian media outlets. Why Does Resource Governance Reform Matter in Jokowi's Economic Policy Package?